Loft, Length, Shaft will change. The Titleist 910D2 driver features a 460cc titanium head with a responsive, fast face insert that creates a 15% larger max-ball speed area for additional distance. Its innovative SureFit Tour dual-angle hosel allows for independent loft and lie adjustments, resulting in the ability to fine-tune ball flight for improved control and accuracy. The 910D2 driver has a low and deep center of gravity that produces a slightly higher launch angle and higher spin rates than the 910D3 model. Do you guys have a picture of one of these in value condition. Unfortunately, due to the size of our inventory and multiple shipping locations, we are unable to provide actual pictures. Bought one of these when it first came out. I have been playing 10.5o of loft for about 5+ years. I have had the R580XD, R7TP, R7425TP, R7460TP, R9 TP and last years 909 D3. A very close friend is now a Titleist Rep and he talked me into trying this. He suggested the Kal'li stiff with 10.5o of loft. I set it at 1 degree open and plus 1/2 degree upright and absolutely love it. As another person that wrote a review said it is very solid and the sound matches. I still have the R9 TP and had them side by side at the range recently (45o outside) and the Titleist I think was a bit longer, definitely much easier to hit straight and in the center of the club. You owe it to yourself to check this one out. They got it right this time (the 909 was the biggest disappointment for me). Before I even started testing with the Titleist 910D2, I was reasonably confident that it would prove to be a very solid offering for above average players. What really surprised us is how well my higher handicap friends were able to keep the ball in play with this club from a manufacturer who has a reputation for producing product almost exclusively for more accomplished players. While I’m not suggesting that high handicap golfers should run right out and buy the Titleist 910, what I am saying is there is absolutely no reason (based on our tests) why higher handicap golfers should stay away from the Titleist 910D2 either. By every reasonable measure it performed admirably in our tests, and did so across a range of handicaps. 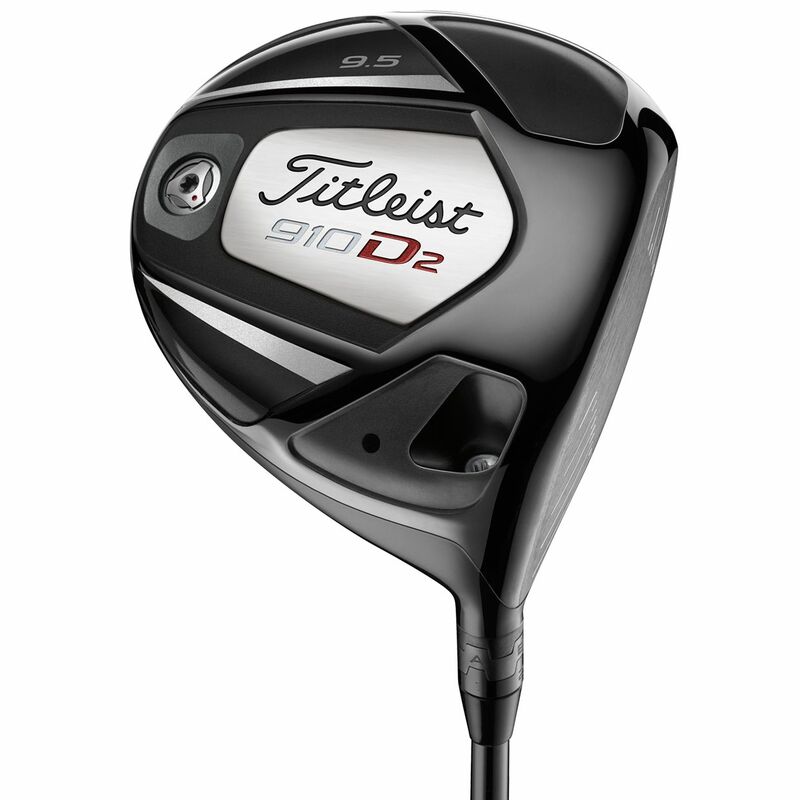 If you are in the market for a new driver in 2011, and particularly so if you’re looking for an adjustable model, the Titleist 910 D2 is well worth the time it takes to demo the club. I recently attended one of the first demo days of the season here in southern IN. This is really the only chance i have to hit several clubs before purchasing due to the fact that I am left handed and there isn't any extreme pro shops or retailers in my area. I had the rep set me up a 910D2 with a heavier stiff shaft and headed to the range. My first impression was that Titleist design a much better looking golf club this time around. Being that i am an average golfer and only 23 years old, i am into both how a club performs and looks while being played. The Black on Black really looks good at address and when i look at the bottom the only thing that cross my mind is how is Rickie Fowler going to customize his with OSU flair. The SureFit system is in my opinion the best looking while at address (not to an eye sore like the Nike System) and simple to adjust and tune. While this system is going to cure the flaws in the golf swing of a HACK, it will help add shape and control trajectory of those with finer tuned swings. The 910D2 feels extremely hot off the face (similiar to how the Rapture V2 & R7's of the old Days). Titleist has greatly improved on the sound/feel of the club over the previous 909 versions. 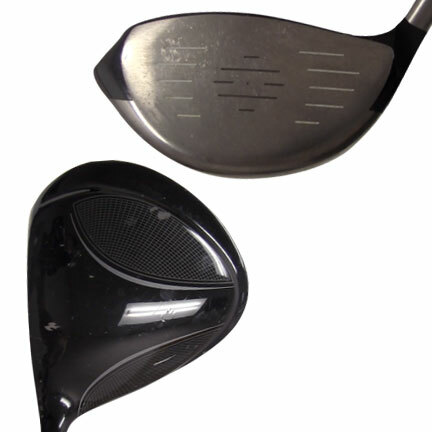 To me the 909's feel like hit with a wooden club and the thud at impact didn't suit what i wanted from a driver. When I hit my R7 425 TP 9.5° with Graffaloy Epic Shaft she sings to me in that hit impact note that lets me know when i got the most out of impact and the 910D2 does exactly the same thing. To go out and purchase a new driver without giving the Titleist 910D2 and the numerous shaft options available for fitting a try you would be doing yourself a disservice. This club is fairly easy to hit, solid, and deep. With the right shaft and setting the Titleist 910D2 will be hard to beat. There's no better driver, perfect sound, feel, and look. I can play any ball flight with the amazing justability. 913 has nothin on 910. This is the perefect driver, for $175 nothing else even compares. The stock shaft is high quality to. Do your self a favor and buy this driver, you won't be disappointed. Just bought and received this club from GlobalGolf. I have been able to hit some range balls and play a couple of rounds, thus far. The SureFit system that allows me to independently do loft and lie adjustments has been interesting and fun to use. I did notice that the 16 available adjustments do make the ball go higher/lower and more left/right. I still need to hit more balls and perhaps purchase the SureFit Tour Weight Kit to really see the total benefits of this club. My Surefit setting is currently set at C3.